For over 75 years Brockman Trucking has been a true family business based in the eastern metro. Harvey and Evelyn Brockman were true entrepreneurs, owning a gas station and a grocery store while helping start the Oakdale Fire Department. Amidst all their work and contributions, it was the trucking business they founded in 1938 would provide for generations to come. After starting out moving cattle, Harvey got his big break hauling freight for 3M during World War II. His work ethic and professionalism helped Brockman grow with 3M and eventually led to the storage business. His determination grew the business until he left it in the capable hands of his sons Jim and Tom Brockman. 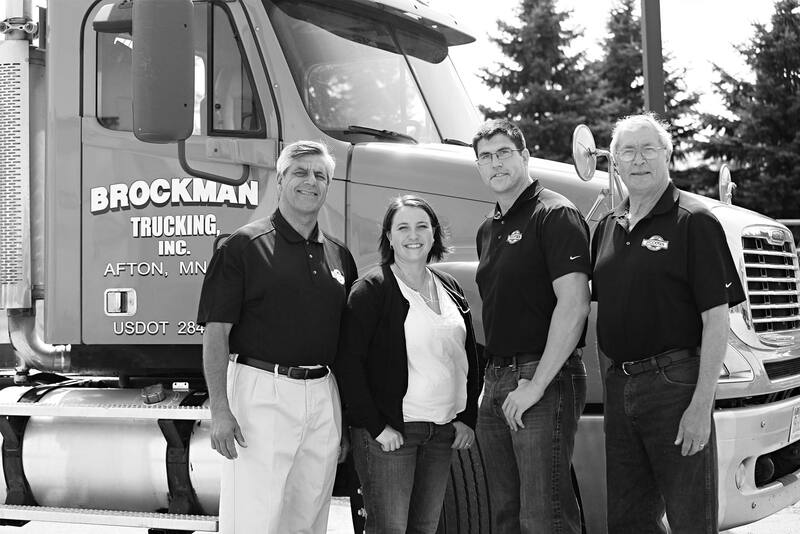 Jim graduated from St. Thomas with an accounting degree, while Tom went to the University of Minnesota for psychology before they came to work full time at Brockman Trucking. Before long they switched the focus of the company from freight to storage solutions, growing to one of the largest businesses of its type in Minnesota with over 2,000 trailers. The next generation of Brockmans is now in place and learning the business. Jim’s son Joe has a degree in logistics and supply chain management from Iowa State and hopes to help Jim retire someday. Joe is currently part owner and a driver. Tom’s daughter Jenny graduated with degrees in mathematics and chemical engineering from University of Minnesota, Duluth—she currently handles billing and coordinates shipments. She too hopes to take over for her father someday. Brockman Trucking has come a long way since Harvey hit the road with his first load of cattle in 1938, but he would certainly be proud of the business it is today.